Take 42% off the entire book. 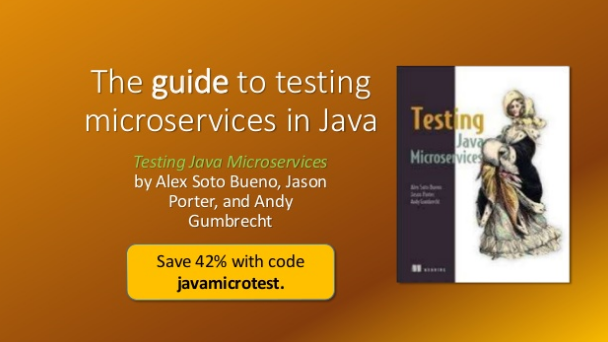 Just enter code javamicrotest into the discount code box at checkout at manning.com. 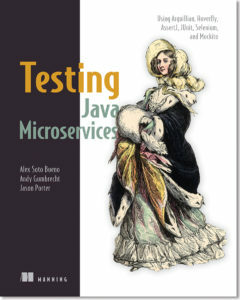 Testing Java Microservices teaches you to implement unit and integration tests for microservice systems running on the JVM. You’ll work with a microservice environment built using Java EE, WildFly Swarm, and Docker. You’ll learn how to increase your test coverage and productivity, and gain confidence that your system will work as you expect. Find out more about the book in the slide deck below.